What they probably are envisioning. It’s not that far off. “Why, thank you, that’s very kind of you,” I say, because it is kind of them. At this point, they usually express disbelief, saying how it “gives us nice stuff like iPhones,” which is a separate issue altogether I have with them that I could go on about at length. In any case, I then let the point die or change the subject, rather than risk losing my temper further and saying something that I’ll later regret. In that moment, though, what I really want to say is that the space program ended because they knew you’d let them get away with it. They knew that you’d let them, because they know that neither you nor anyone else cares enough to do something about it. The name of the last space shuttle that flew? The name of any of the space shuttles? 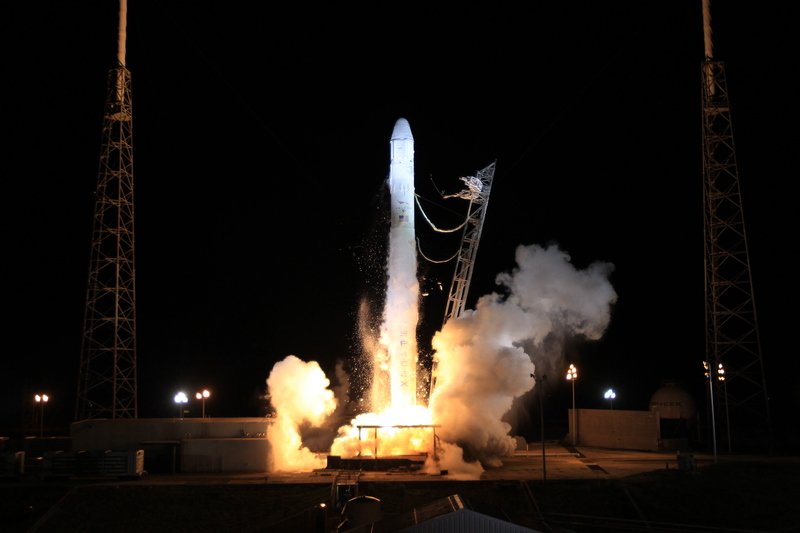 When was the last time you actually saw a launch live, whether streamed online or in person? Was it years and years ago? I’ll bet you have no clue, but you could probably tell me a lot about what’s happening on Capital Hill, or who won the Oscars. To those of you who are more advanced in years than I am, turn to your child or any youth under the age of 21 and ask them how many planets men have set foot on — I’ll warn you now, you’re in for a shock when you do. I guarantee that they also aren’t aware that the shuttle hasn’t flown in years, and I would not be surprised if they were to say that we used one to reach the moon. It would not be the most inaccurate thing that I’ve heard. You see, if you think about it, when we as people really care about an issue, we make an effort to inform ourselves about it and to stay current on it. We read online articles and blogs about the more popular issues, we memorize random statistics to bring up in future arguments with each other, and we share and link to charts and infographics that support our position. It’s actually amazing just how much trouble we go to to seek out this information (even if that information is actually hooey). We’ll do all that work, though, if it’s something that we’re passionate about, like health care, the environment, or the latest Justin Bieber album. “On average, the same sample said they believed the U.S. government spends 2.4 percent (with a standard deviation of 1.68 percent) of the federal budget on NASA after they were told the agency currently has two operational rovers on the Martian surface. This, sadly, is woefully overoptimistic. For even further comparison (because gorrammit, I like driving the nail home), in the unlikely event that the 0.5% allocation survives the Congressional gauntlet, it’ll be the most generosity that NASA has received since before many of us were born, seeing as how it hasn’t been given more than one tenth of one percent in decades. In 2010, the United States spent more on air conditioners in Afghanistan than it did on the space program (2010 U.S. GAO Report). The next year, we spent more on public broadcasting television stations than we did on an endeavor with the potential to improve the quality of life of every man, woman, and child, plus countless others not yet born (no offense to fans of Downton Abbey). What I’m hoping this shows you is that the problem is not that we don’t have enough money nor is it the fault of this or that political figure (this is the Internet, so it’s bound to come up in the comments), the actual problem is you. It’s me. It’s us, the people, and that people actually believe these things about space, willfully remaining in the dark by their own choice. Believe it or not, I didn’t write this to call anyone to repentance (though I won’t deny experiencing a sort of Tears for Fears catharsis in typing all of this). I’m going to ask you to try one simple thing to fix this, and I promise that it’s easy. All I ask you to do is, when you’re already browsing online and getting your news and information, make just one more stop and include space, if you think it’s important. After you’re done reading what The Washington Post has to say about sequestration, just peek at the front page of Discovery Science or Space.com. It won’t cost you a dime, nor will it rob you of any amount of time worth counting. Plus, I think you’ll be surprised to find how much space impacts and is impacted by those other, more popular issues that are important to you. For starters, there’s a launch this Friday morning of a rocket that you’ll really want to see. It’s a rocket built by SpaceX called the Falcon that will carry an unmanned capsule (like the Apollo that we took to the moon) called the Dragon. It’s carrying supplies and science experiments to deliver to the International Space Station, where its crew eagerly await. This is a big deal, because it’s a private entity building their own space program by the people, for the people. There were scoffers and skeptics at first who said that no one could do as good a job as NASA, but now, the hard-working men and women of SpaceX have proven what they can do, and even NASA themselves are impressed enough to entrust the Dragon with the lives of American astronauts in 2015. It’ll be the first private spaceship, and we of Take Back the Sky believe that it’s only fitting that the first of the line be named Serenity. The launch is scheduled for 10:10 AM EST, Friday, March 1. Most of us don’t live in Florida, but believe you me when I say that the live stream is still a magical experience. SpaceX will be providing their own feed via their site, as will NASA, beginning at 8:30 AM EST. I recommend the former, as it’s more laymen-friendly to those of us who aren’t as familiar with rocket science. Below are some other great sources for space-related news and developments. Include them in your newsfeeds, and not only will it you get up to speed, but it just might empower you to make a difference, too. If you see or read something cool, feel free to post it here and talk about it. space.com A basic, surface-level news source that has the broadest range of topics of any here, ranging from astronomy to launches, to the search for life beyond Earth (that-was). spacevidcast.com A wealth of video programming, conference sessions, and what’s new in space. Astronomy.com When was the last time you saw a meteor shower? Mars, Venus, or other planets and celestial objects might be right above your head right now, and you could be missing out. Check their Sky Events calendar for amazing sights that you’ll be glad you looked into, no telescope required. spaceref.com An all-in-one news feed, collecting headlines from publications all over the world on everything from science and space business to policy and legislation. thespacereview.com A personal favorite of mine, featuring truly insightful commentary, editorials, and articles about the ‘Verse. FLORIDA SPACErePORT While it tends to get bogged down in discussions (read as: online bickering) about politics, this is actually one of the primary sources of news that we here at Take Back the Sky read.